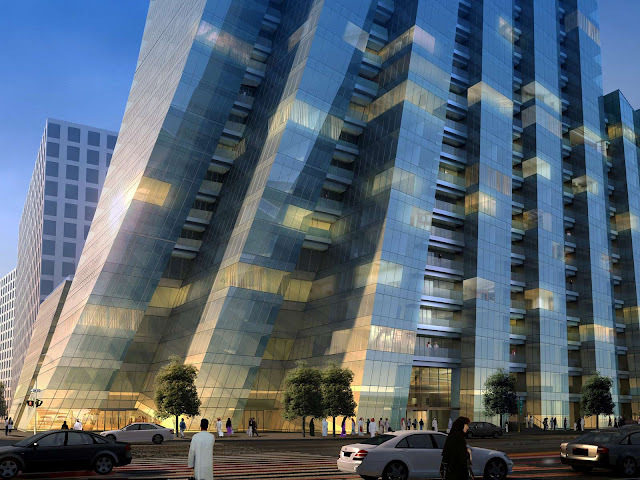 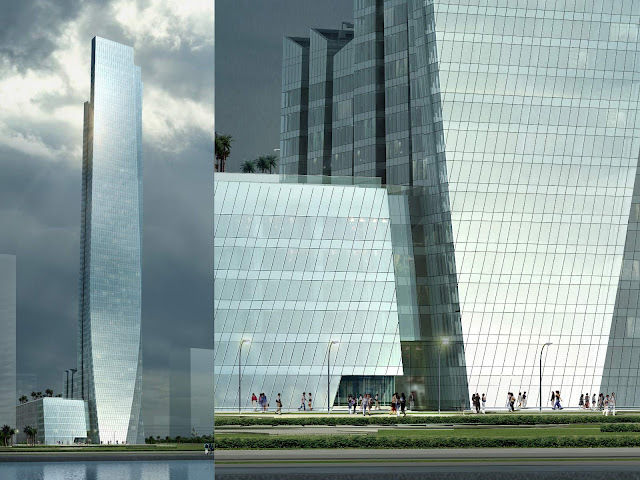 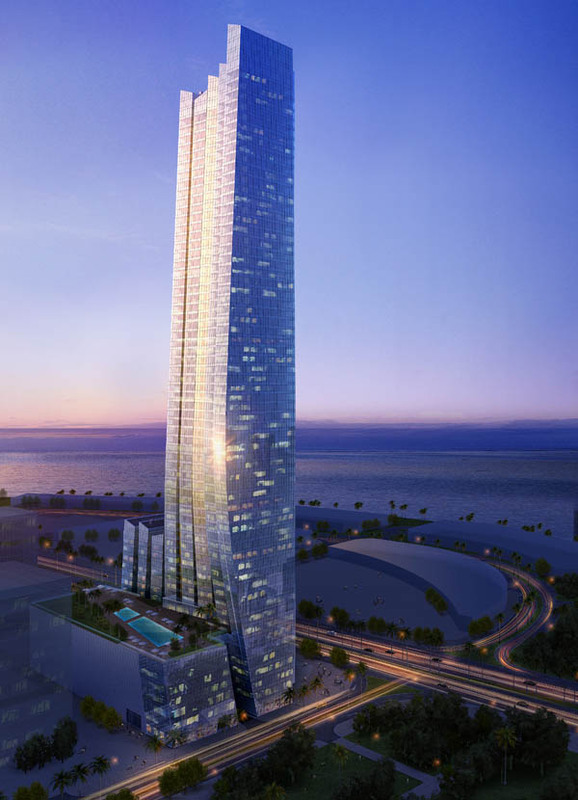 Empire Tower designed by Aedas Architecture is a residential skyscraper under construction in Abu Dhabi, UAE. 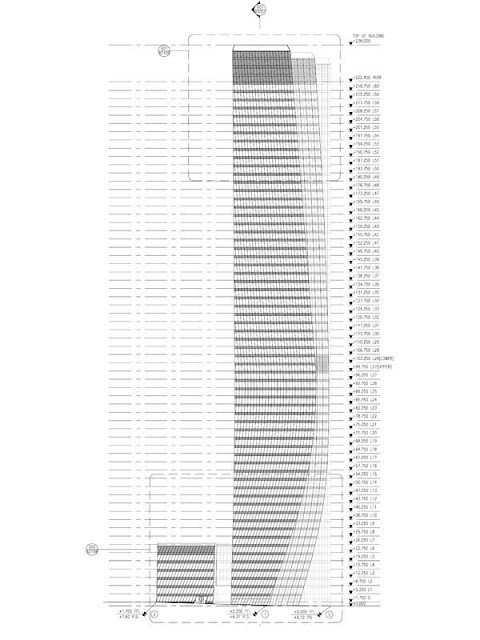 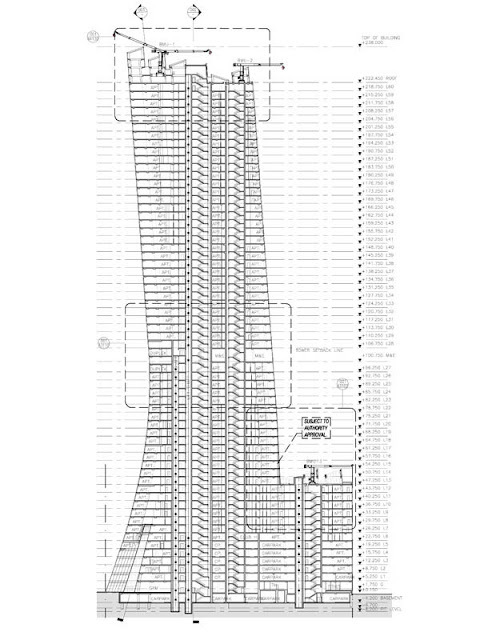 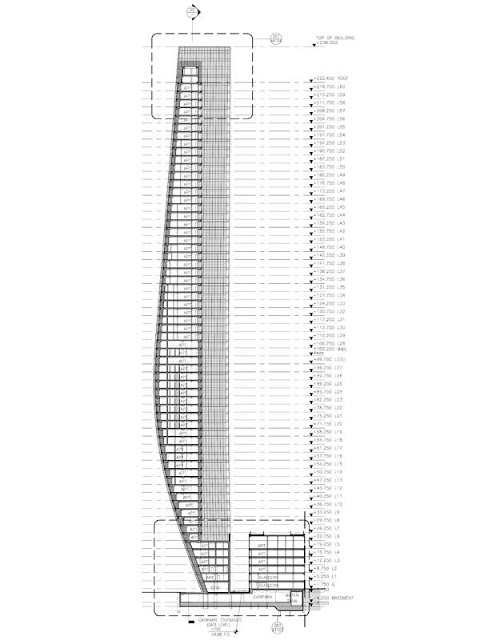 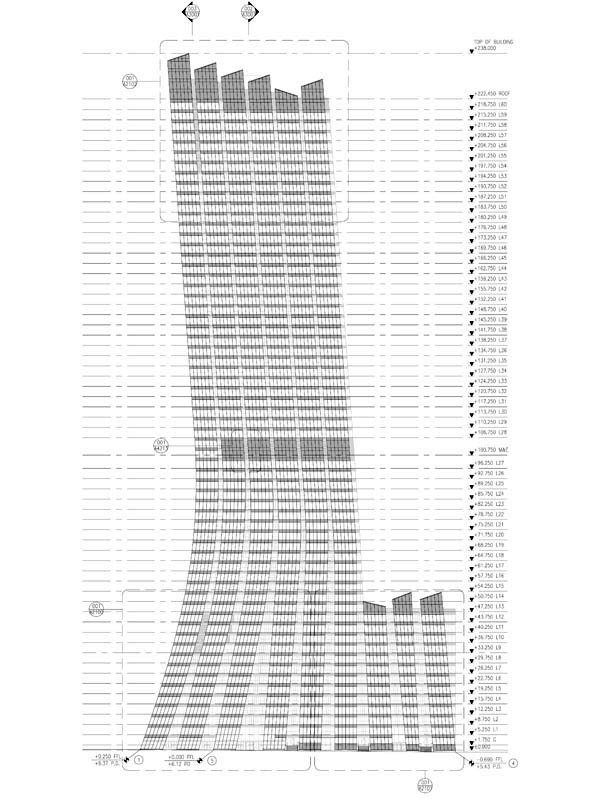 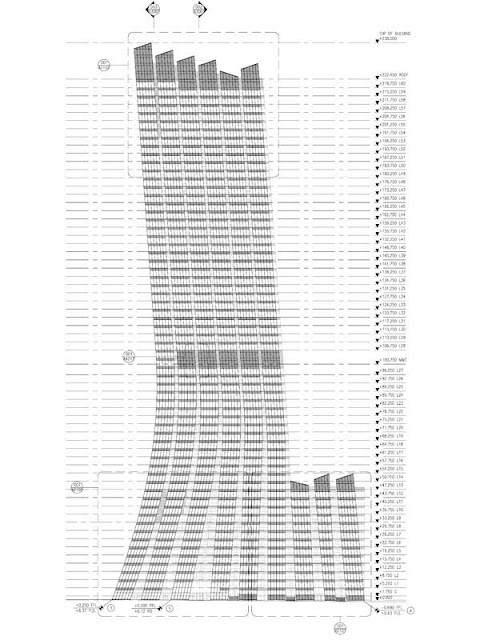 Skyscraper structure that took several awards is set to rise 230m (754ft) with 60 floors. 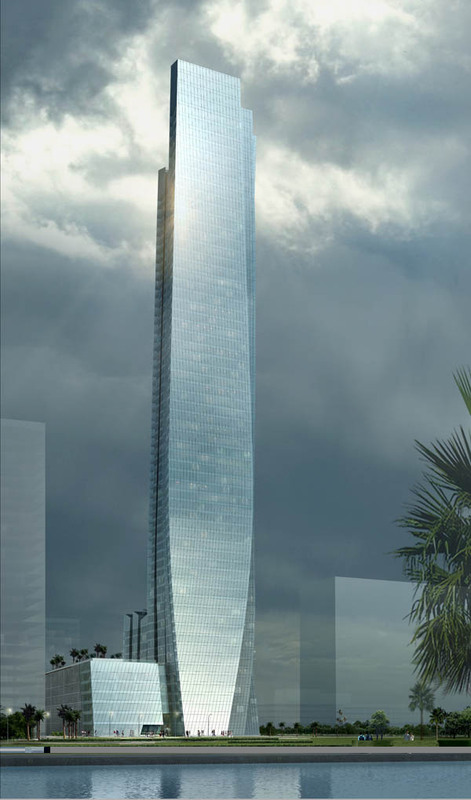 Project completion date was in 2010. but financial situation in the world postponed the date. 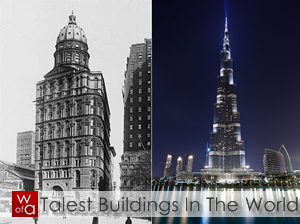 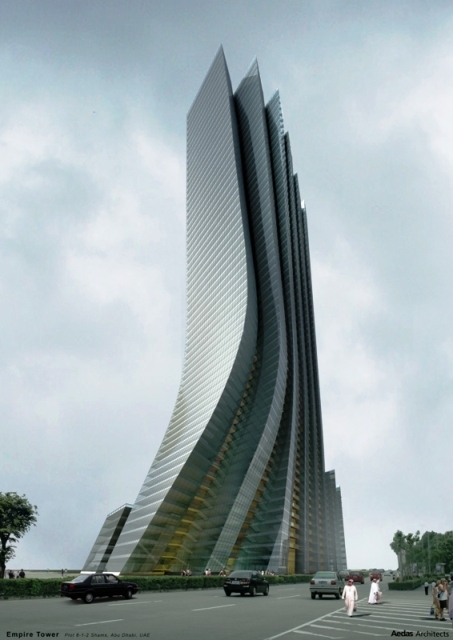 Building design is made to look like the tower is leaning back. 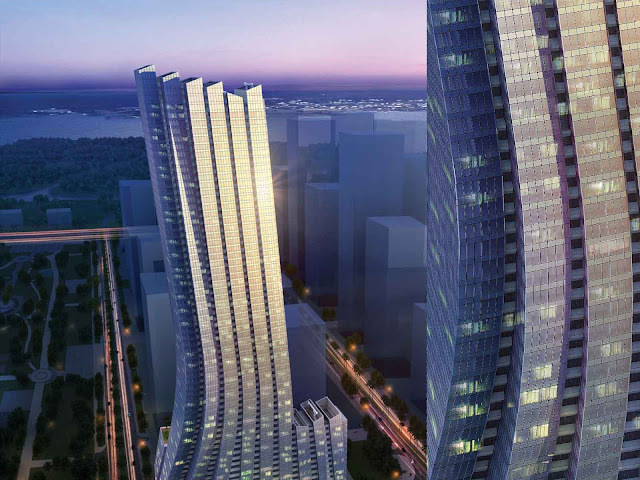 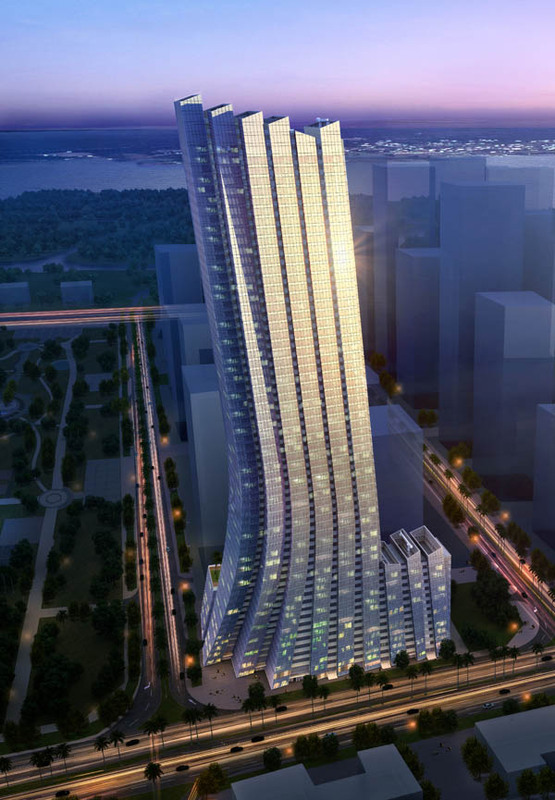 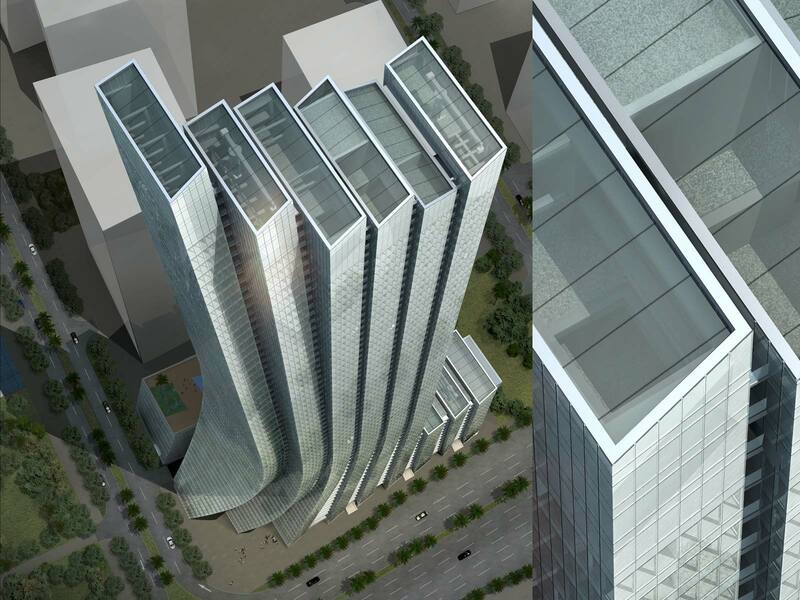 "Empire Tower was challenged through a client request of not ‘pushing the limits’ too far. 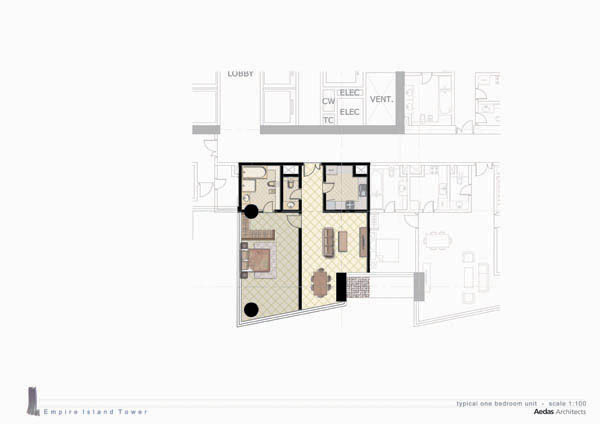 The concern is that the residential project was located in the middle of a masterplan filled with potential icons. 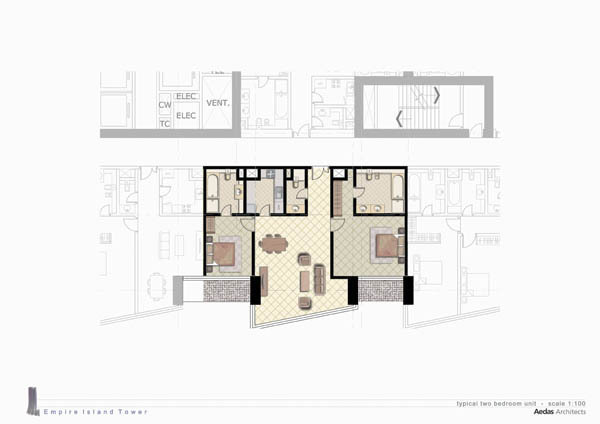 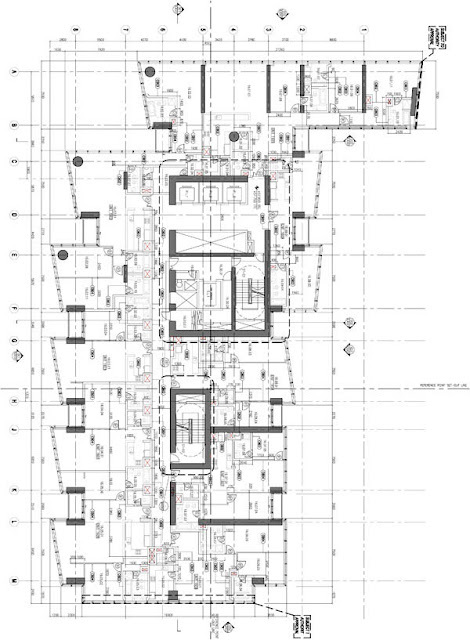 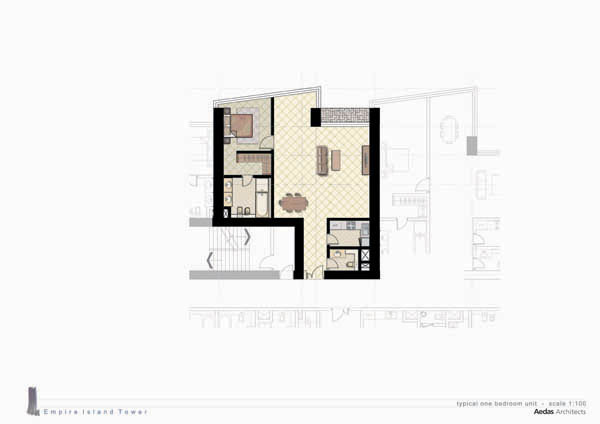 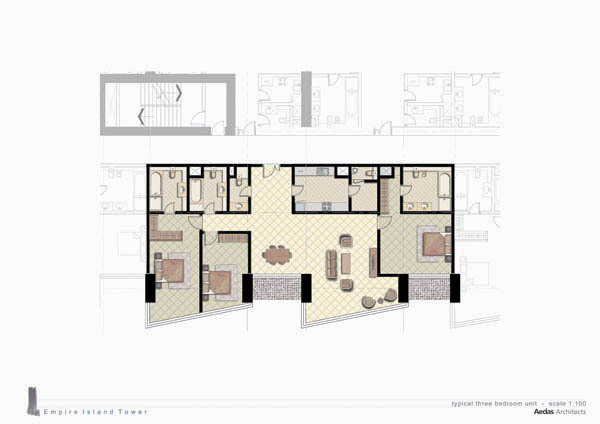 The design standardizes the units to accommodate the client request but manipulates the section to develop a very dynamic solution, which holds its own amidst the visual clutter of its neighbors. 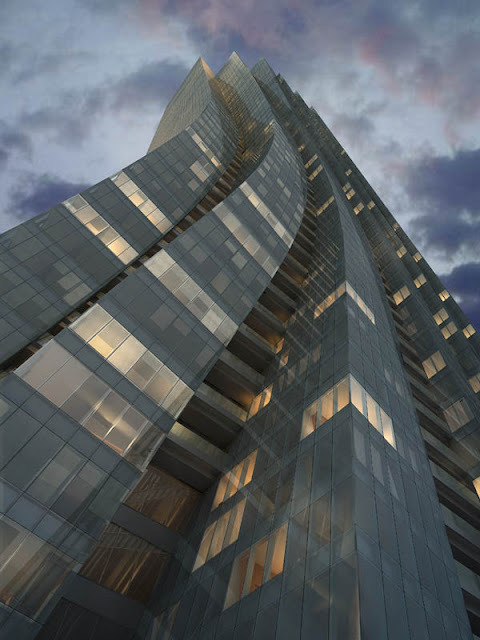 This was deemed important for the financial viability of this project that is dependent on pre-sales within a very competitive market. 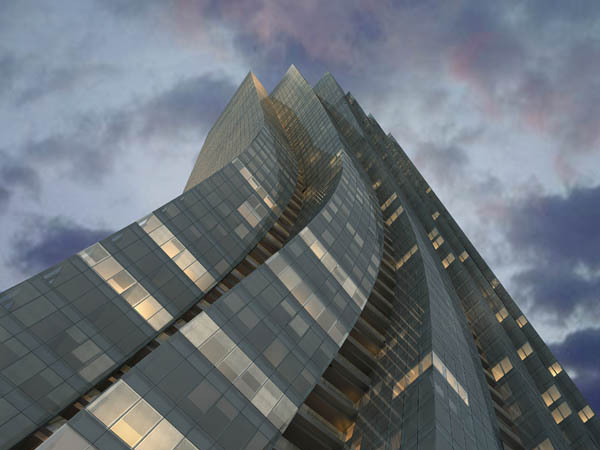 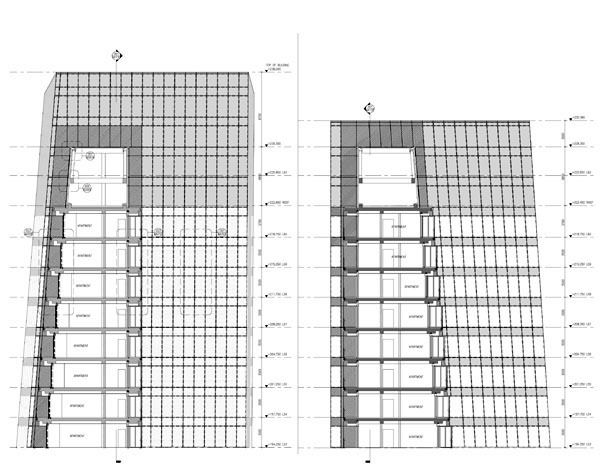 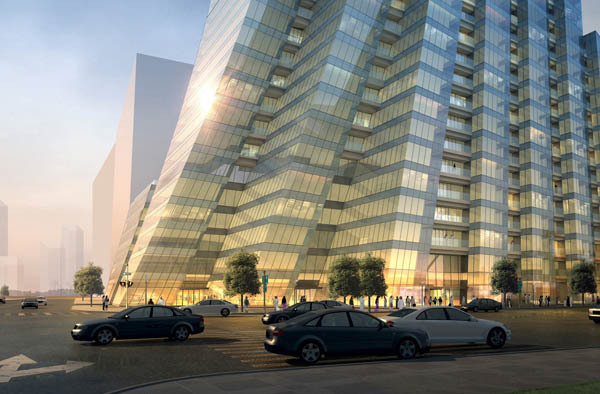 The design maximizes the towers presence on the street with vertical layers spreading out to the property lines. The building then bends back away from the street across from a large commercial tower allowing for an enlarged view corridor between the central park of the community and the sea, one block away. The splayed vertical layers converge while rising up before bending forward together as the 230m tower rises toward the sky and maximizing its views between the park and sea."